I covered the details of how to craft in the Act 1 post, which you can find here. Remember: Crafting is available for the ENTIRE EVENT. So no big rush. Use it or lose it at this point! If you see something you like, get it because come next Wednesday the event will be over and so will all this stuff! BUT…don’t kill yourself trying to get all this stuff. Sometimes less is more. 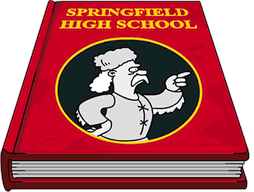 Craft what you have a use for in Springfield…. 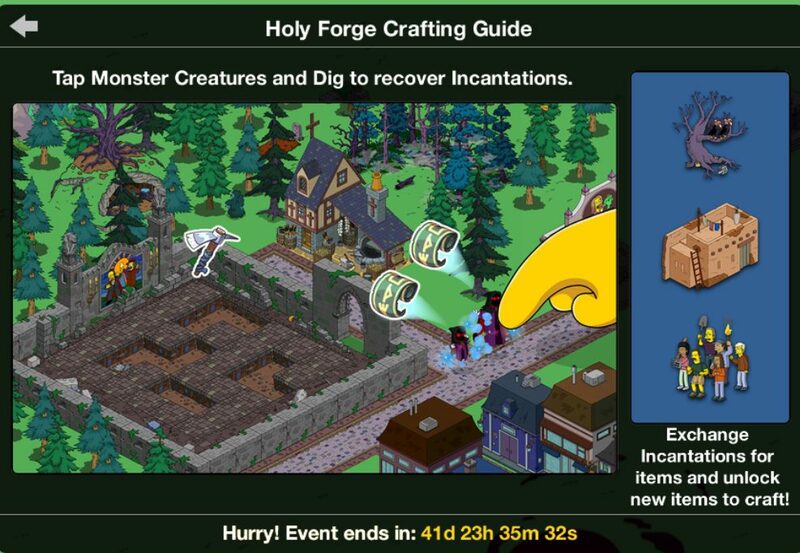 And there you have it my friends…the details behind Act 3 of the Treehouse of Horror crafting! This entry was posted in Decorations, Tips and Tricks, Updates and tagged Act 3 crafting, should i save crafting currency, Tapped Out Halloween, Tapped Out Tips and Tricks, The Simpsons Tapped Out, TSTO Addicts, TSTO Halloween 2018, TSTO THOH XXIX, TSTO Tips and Tricks, TSTO Vampire event, what do the craftables do, what items should i craft, What should I craft for Halloween Event. Bookmark the permalink. Love Halloween events. Work full time, can only check in 3x per day. .Normally with an event, this is sufficient to “craft” everything craftable. This year I had save lots of donuts in anticipation of this event. Bought some great classic monsters, mountain/gorge, Voodoo Queen, etc with the expectation that this would secure my crafting. Nope. I still have not “opened” my final item, the Mud House. I am fairly certain it will cost more than I can generate in the next 2 days and 22 hours. Another glitch, like all the neighbors disappearing maybe? Anyone else find it hard to complete crafting this event? 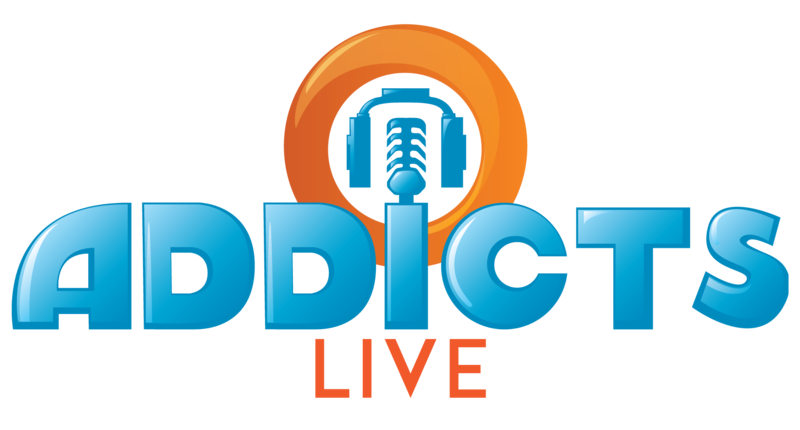 I’ve been an addict for over 5 years now, and felt confident in game playing abilities.. Should have checked in with the fabulous tstoaddicts sooner. Foolish me. Hey I just noticed something and apologies if this is old news and already obvious to everyone else, but those sand dunes are really useful on the beaches. The color blends best with the regular non-Heights beach sand, and you can visually extend the beach further inland. I’m seeing lots of design possibilities. I am simply saving all crafting currency until the last day. Then I can do a quick p,an to get everything I want (and how many I want of some specific items). Not only have I lost all my. Neighbours again temporarily, my game has decided that despite having unlocked all prize tract and dig prizes for all Acts, I need to reach crafting level 7 and unlock the Stone Gate to craft any more of them. I’m crafting level 9… Same with a couple of other crafting items, saying I need to unlock them from the prize tract to be able to craft more, and none of the crafting items have a tick beside them any more. Is that a server issue, too? Not sure where to post but, has anyone lost all their neighbors? I went to do neighbor tasks and they were all gone. Same. All my neighbours disappeared too! OT – I thought I shot myself in the foot last night when I decided that since I had all the prizes I could go ahead and run Slick’s 8 hour task and finish up his quest. Then I realized I needed to send all my kids on one last 8 hour “write a novel” to earn as much currency as possible. After that I realized I forgot about earning bonuts for the next 9 days! Fortunately this morning I remembered Alissa posting the “Helpful Tip” existed in part 3 of his quest as well! Thanks Alissa! The flip side of this is that if you have, say, 49 kids and your multiplier is high enough, that you might earn a similar amount of donuts by just tasking them for 24 hours. That way you don’t have to put them all on jobs individually twice/thrice a day. I religiously managed to do so in Acts 1&2, but as soon as I hit the target for Act 3, I sent Slick to finish his job because I couldn’t take it any more! That’s not true, because the kids all earn premium-XP in the Slick task, even the non-premium kids. You only lose out on game-cash for the purpose of KEM/RTT farming. As far as earning bonuts from leveling up, the Slick jobs are a double-win. You get XP for level-up and event-bonuts at the same time. Didn’t notice that; thanks. For me still wouldn’t be worth the hassle of manually tasking 50 characters 2 or 3 times a day! But your point is good. Imagine a 9 act event…. 4 and a half months. BOO! I scared you! I got myself 1 of everything and am building a “house farm” of transylvania cottages. So far I have 22! All my friends towns disappeared from my game today.. has this happened to anyone else!?? I have lost all my neighbors also. What happened? 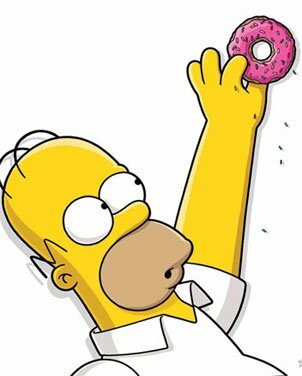 Any chance that a exclusive crafting item will be sold through cash/donuts? What the hell EA I want 100 pieces of large dunes!!! Thank you for the info on Snake’s task. I would never know these things if it weren’t for this site. THIS! With SO many characters available, I wish EA would do a better job letting us know of all new tasks available – thanks for picking up their slack, Addicts! I wish i bought enough of those tiny trees back at the first digging event. Now i could use a lot more to decorate with the new egyptian stuff. Bring those back EA! I buying mystery boxes to catch up on the characters and buildings i missed from past events. But nothing replaces those missed decorations. 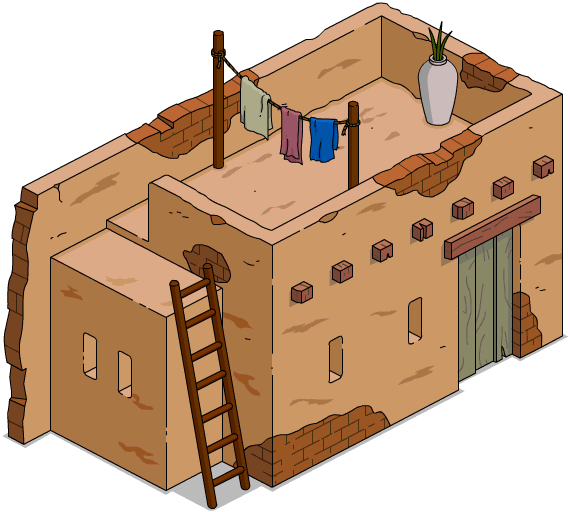 I kick myself whenever i see neato walls and trees and such in other people’s Springfields. 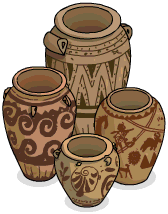 Wish EA made lots more old decorations available when they offer mystery boxes from past events.